WooCommerce Email Customizer Extension: Style your WooCommerce emails with a simple drag n’ drop interface. Allows you to customize the design of all the emails your customer receives from you. No one likes boring email. Truth’s the truth, and there’s a missed opportunity in sending stock standard messages in your transactional mails. 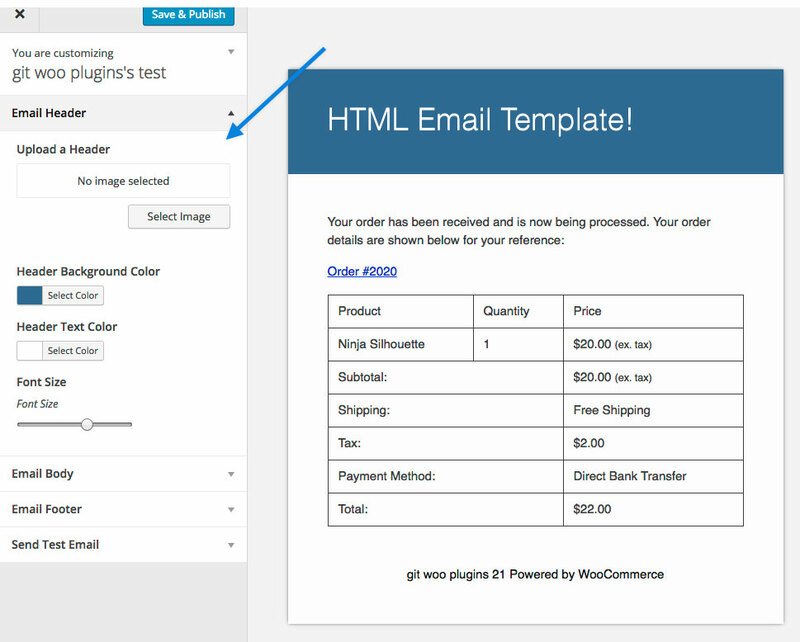 WooCommerce Email Customizer allows you click, drag and drop using the built-in WordPress Customizer to visually modify the design of your email templates. No coding knowledge required; hello customized UX.